We're so excited to have Cavallini papers now available at The Amsden! You can find them in Bluegrass Market's section of Gathered Mercantile in a variety of prints, with more new styles and products being added regularly. 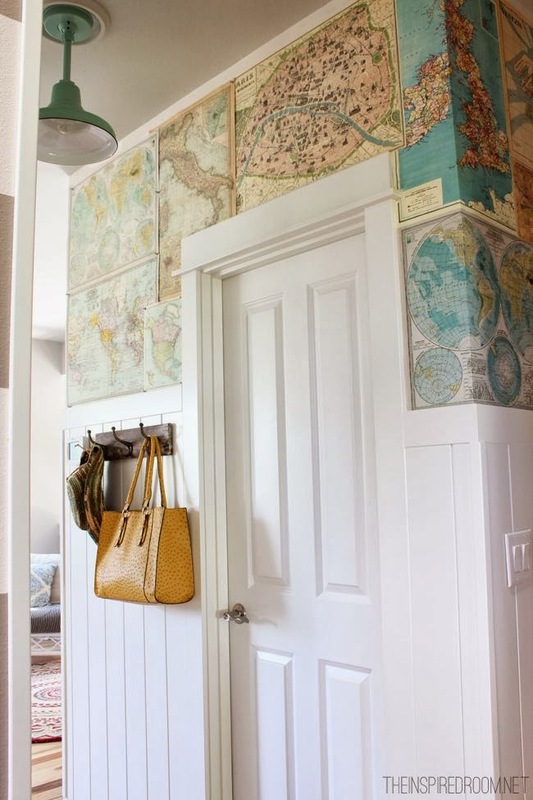 These large poster-size papers are just $6 each and there are so many fun ways to use them in your home! You can frame them, hang them alone as a poster, use as gift wrap, or create a fun DIY project with them! I've linked some of my favorite ideas and inspirations for using them at the end of this post too. Be sure to stop by to check these out in person and stock up on your favorites- they make a great gift too!